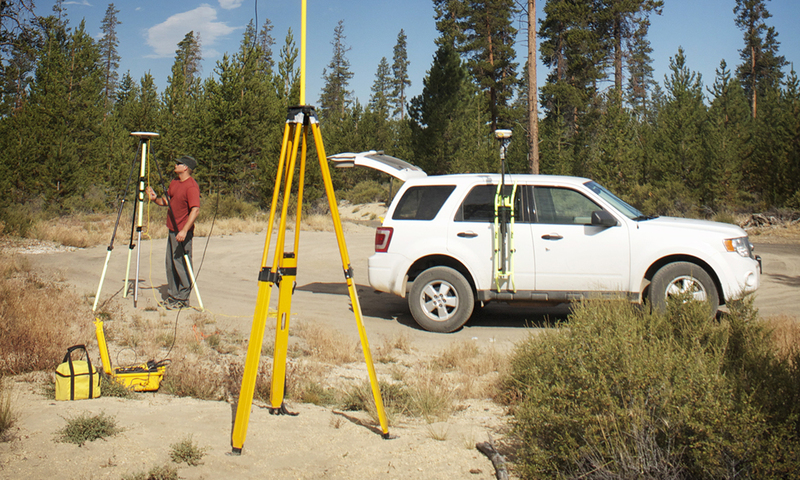 Project: As data stewards for the Oregon Lidar Consortium, DOGAMI provides quality assurance/quality control steps to ensure the lidar data standards for the program are met. One step in this process is independent GPS point collection within all lidar collection areas. A real-time kinematic (RTK) base station, radio transmitter, and mobile GPS equipment is set up and operated in the field to collect point location data within the lidar flight area. These points are later used to compare and independently verify vertical and horizontal accuracy of the preliminary lidar data provided by the OLC’s lidar vendor.